Boasting one of the longest ski seasons in North America from Mid-November until late May, skiing Banff you can expect the fluffiest, driest powder there is. Banff is a bustling, friendly town set within the spectacularly beautiful Banff National Park. The spectacular Banff area has been protected with National Park status and wild elk still wander into this genuine, unspoilt and friendly town. With a great array of restaurants, bars and shops Banff is a lively town with so many other thrilling winter activities on offer. 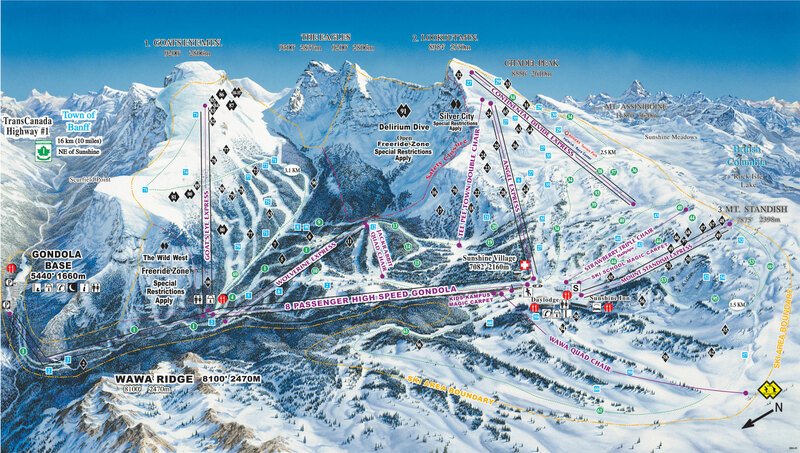 The three ski areas of Norquay, Sunshine and Lake Louise are all connected by an excellent bus shuttle service (free with Tri-Area Lift Pass) and all abilities of skiers and riders will be impressed with the three unique ski areas.